This post is sponsored by Disney Book Group. All thoughts and opinions are my own. Ever since we went to the dentist a few months ago, A has been so excited and eager for her first loose tooth! 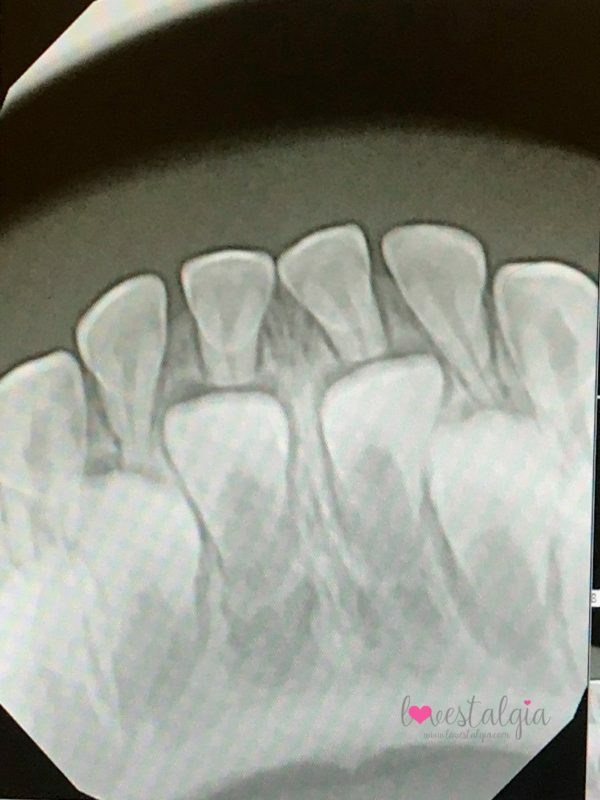 She got her first set of x-rays and you could see her permanent teeth growing in under her gum line. When she saw that picture, it made her even more excited and she has been asking every week when her teeth will start to wiggle. 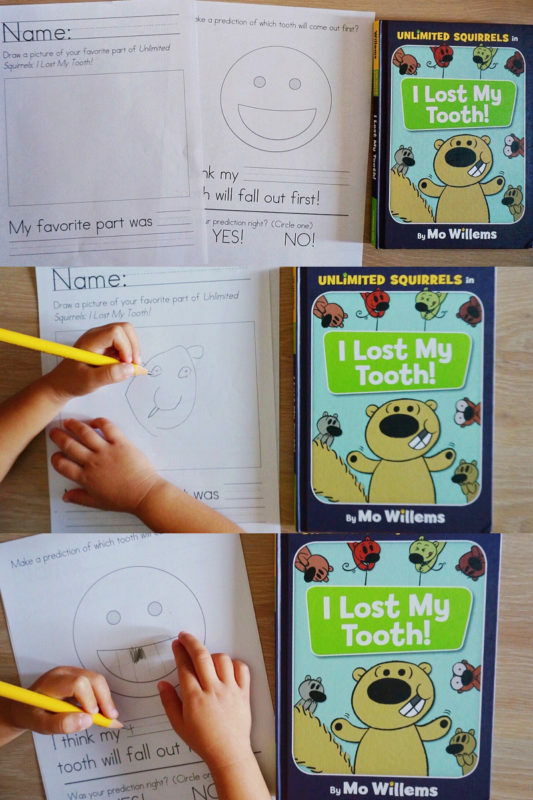 So in anticipation of her first loose tooth, we read the first book in Mo Willems’ new series Unlimited Squirrels called I Lost My Tooth! 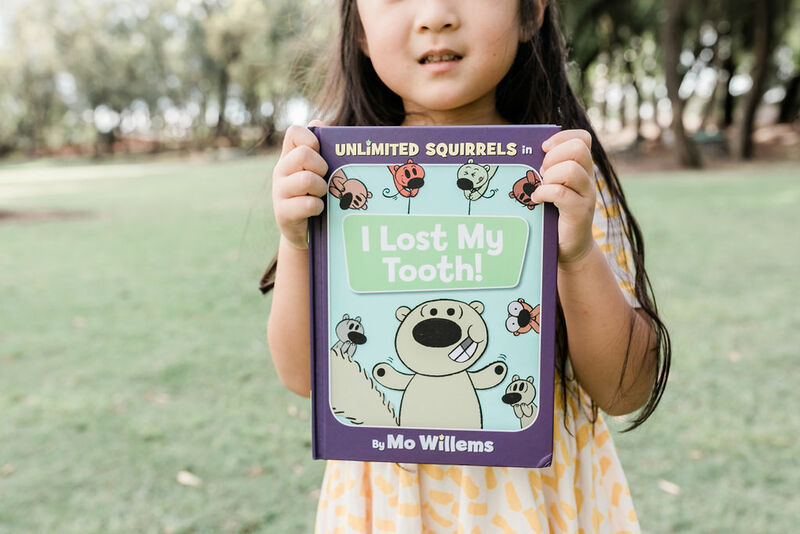 It tells the story of Zoom Squirrel who lost his first tooth and the hilarious banter with his squirrel friends about teeth. A and I were cracking up as we read the story together! The characters are so funny and we loved the ACORNY jokes that are included throughout the book. 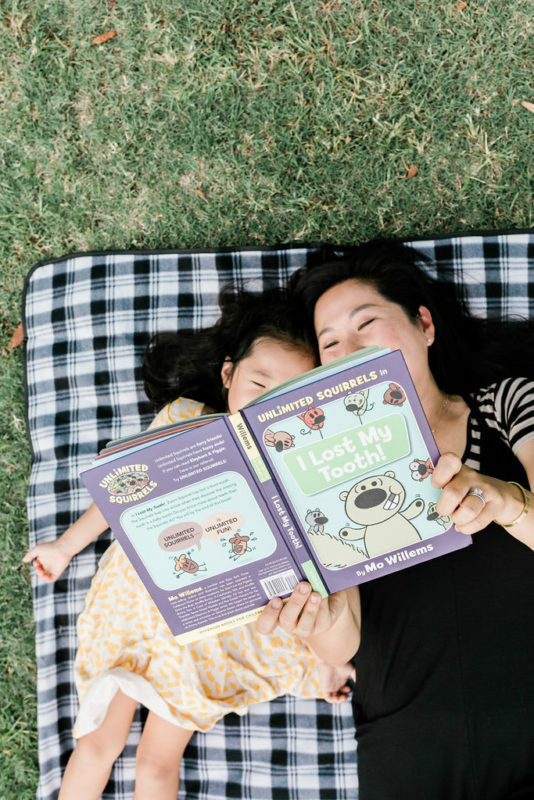 We are huge fans of Mo Willems and fell in love with his books through the Pigeon series and Knuffle Bunny. 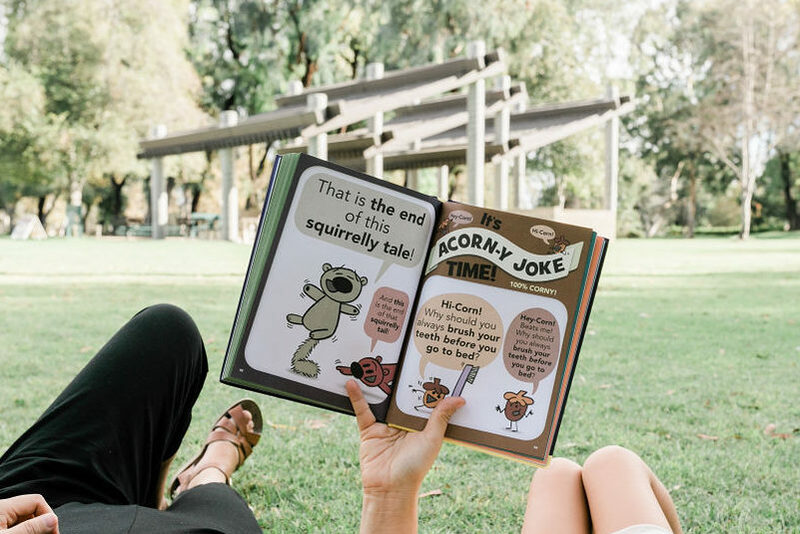 This first book in his Unlimited Squirrels series will tickle your funny bone! It’s not only entertaining but also contains a lot of information about teeth via the Research Rodent. 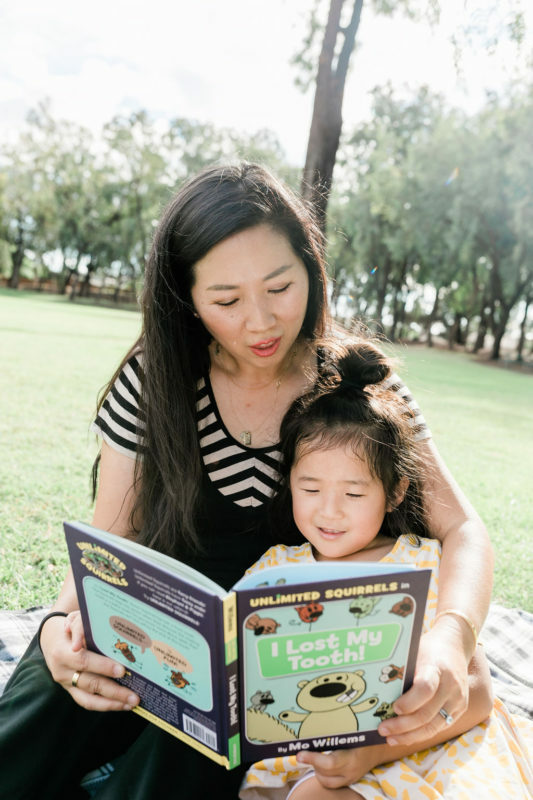 My daughter loves funny stories while I love that there’s so many lessons we can learn through the book. After we read the book several times, we decided to write about it. I created this worksheet which you can download too! We drew and wrote about our favorite part. Then we made a prediction about which of her teeth will come out first! We won’t find out the results until after her tooth actually starts to wiggle. Write our own ACORNY jokes. Create a list of tooth facts from the story. 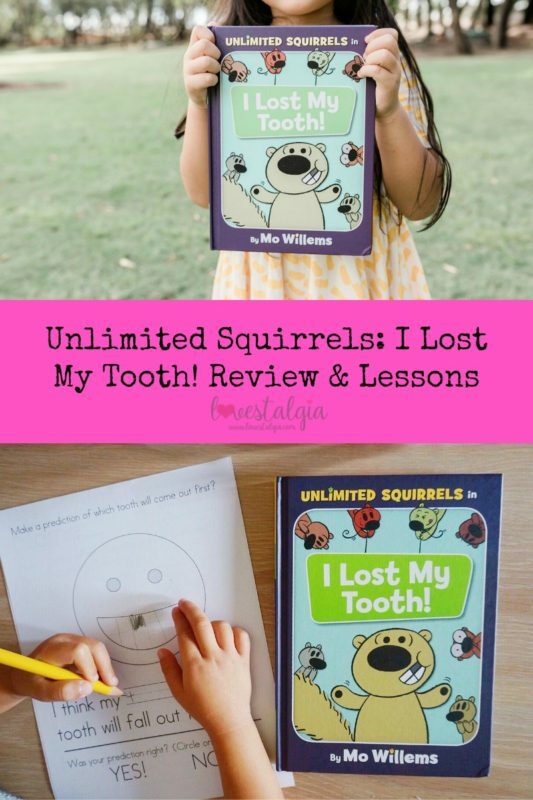 Compare and contrast tooth facts of people and squirrels. Name 5 things/animals that do or do not have teeth. Draw a picture of a new Emote-Acorn that isn’t mentioned in the story. Has your child lost his or her tooth yet? This new book by Mo Willems is a great book to read for that occasion. You can pick up your own copy here! HAHAHAH!! YES! Isn’t that insane?!?!! ?